1. 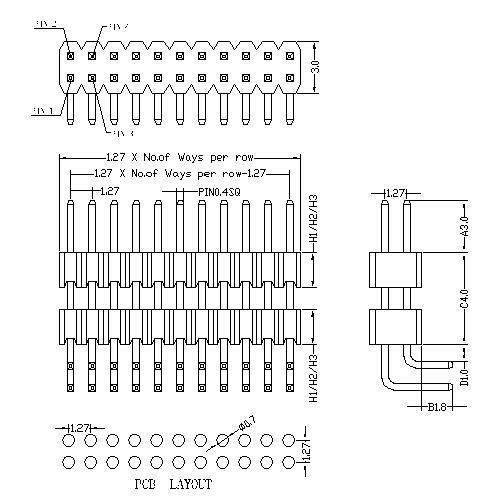 Pin header is called universal connector. Based on different designs for PCB,they choose different pitch connectors to meet. 2. 0.8mm/1.0mm/1.27mm/2.00mm/2.54mm pitch pin header are featured products in our company. 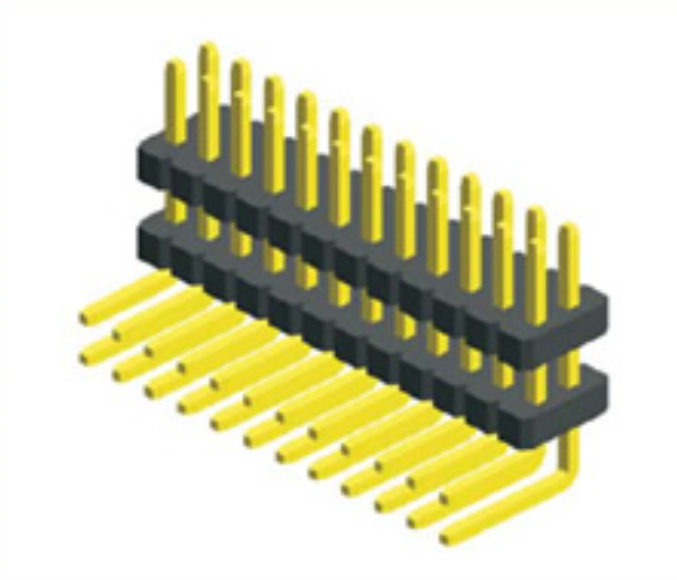 If you need special pin header that standard pitch couldn't satisfy, e-mail or call our sales team. 3. Generally, pin headers with suited female headers are used to finish created modules in electronic industry. 4. Regarding pin header electrical and mechanical properties, same pitch has the same function, which we have shown clearly in our data sheet. Looking for ideal 90 Degree Double Plastic Connector Manufacturer & supplier ? We have a wide selection at great prices to help you get creative. All the 90 Degree Dual Row are quality guaranteed. We are China Origin Factory of 1.27mm Dual Row 90degree Connector. If you have any question, please feel free to contact us.